When we bring something new into our home, it’s on a kind of ‘trial period’ as we adjust to it, fit it into our routine, or simply remember we own it. After the adjustment period ends, the item has either become integrated into our life, or it’s been rejected. Maybe that new pair of shoes make your arches sore, or the new bike is slightly too small and uncomfortable. Typically, we keep the items around anyway, in some constant hopeful state that the reality will change — the shoes will correct themselves, we’ll shrink to fit the bike, etc. Meanwhile, we buy a more comfortable pair of shoes, a bigger bike, and our personal inventories grow. But what if we operated under no such delusions? When it was clear the shoes were torture devices, we returned them if we could, sold them on eBay, or donated them to charity? What if the bike was promptly put on Craigslist? What if we were ruthless and immediate in refusing to own anything that we couldn’t use? What would our homes look like then? Wouldn’t it be great if every new item we bought was truly multifunctional — making two or three other objects that we already own obsolete? A well-designed hamper that’s also a laundry basket, a rechargeable nightlight that’s also a flashlight and camping light, an end-table with a detachable tray top for serving — all examples of multi-purpose items that are designed with clutter-busting in mind. Shop with multifunction in mind and purge what these objects cleverly replace. We spend more time parking our car at the store than thinking about why we’re there in the first place. From clothes to furniture, we’re tempted by delicious and novel ‘one-offs’ — items that are attractive but don’t coordinate with what we already own or fit into our larger goals. It’s a pitfall of a society that has too much stuff to offer and consumers who have too little time to think. Personal styles get muddled, homes become a mash-up of things that looked great in the showroom but don’t quite fit in at home. Step back. Take a 30 or 60-day sabbatical from buying and truly decide what you need and then begin looking for just the right thing. Examine your wardrobe — what clothes work together and how can you get more versatility out of fewer items? It’s not nearly the adrenaline charge that spontaneous buying can be, but what you end up with will probably be more classic, of higher-quality, and less prone to the “back of the closet” syndrome. Once you’ve discovered your ‘golden mean’, defend it ruthlessly. For every new item you bring home, say goodbye to another. You can approach this literally and exchange similar things (old shirt for new shirt, old TV for new TV) or you can mix and match — old pair of shoes for new shirt, old set of dishes for new toaster oven. Donate it, sell it, set it on the curb — just make sure that for every object coming in, one is heading out. Great tips - I've always tried to operate on the "one in, one out" rule for clothing and have been using it for other areas of my life too. When you look at life that way, you see that very little actually needs replacing! One question though: how do you deal with gifts? I inevitably end up with things I don't need or want, but feel guilty getting rid of. Start spreading the word that you don't want gifts anymore. You want experiences! And if they really feel the need to spend money on you have them make a donation to a charity that is close to your heart. As far a gifts you have received and feel bad about letting go, take a picture of yourself with the gift. That way you will have the picture to remember it and not feel guilty. Donate the gift to a charity so that someone who really needs it can use it. Gifts can be a problems for fear on offending the giver. I do feel that a gift once given is free to act on. My stategy is to donate if appropriateor re-girft in an area that the giver will not see. Getting rid of stuff is liberating! The more things my husband and I sell, recycle or donate, the better both of us feel. It's always nice when the item you don't want can find a useful place in someone else's life. We follow the one new item in, one old item out rule with clothing, and household items. I love to clip irecipes and interesting articles from magazines or the newspaper or print them from the internet, and I was having a heard time letting go of all the paper clutter. By setting up a file on my computer, I was able to store the information from the paper pile and toss the papers. I've never missed anything that I've gotten rid of. We have used the one in one out rule for years! That's how I manage to have teenagers with clean rooms! I am in the very beginning stages of decluttering, but I like the box method. So say you have a junk drawer. Dump the whole drawer in a box. As you use things from the box, they are allowed to go back in the drawer. After a month or two, you have things in the drawer that you actually use and a box full of stuff that is either seasonal and can be put in a less everyday place or that isn't used and can be thrown/recycled/sold/donated. I hope to soon get past this part to the maintenance part but baby steps. I'm doing a 30 day No-Shopping challenge in a two-fold attempt to both lower my credit bill and to really be conscious of my current stash of "stuff." I figure in stead of shopping I can use that time and money to finish projects I've started, read the books I've already bought and just reorganize what I already have instead of just adding more. You lost me at the hamper/laundry basket. You can't have the same item touch dirty and then clean laundry. Public health code requires commercial laundry facilities to keep the dirty laundry areas completely separate from the clean laundry areas. Common sense dictates you do the same at home. You might as well not even bother to wash your clothes if you are just going to put the clean clothes in the same dirty, germy container you used to get them to the washing machine. I see your point, but I think we all approach laundry differently. For instance, I don't carry my clean clothes back in a laundry basket. Since they're clean and folded, I just tote them in my arms and distribute them to various parts of the house. The hamper and laundry basket are just to hide and transport dirty items. For a mesh bag hamper you throw the dirty bad in the wash and it is cleaned with the clothes. For a plastic basket you take a cloth and wipe out / clean / disinfect the laundry hamper when it is empty because the clothes are in the wash. These are great tips. Tip 1 speaks to me, in particular. It’s true how things are either integrated into your lifestyle or they are rejected. And I find that once I reach a certain threshold of accumulation, more and more things get rejected. One technique I find myself using quite a lot is to “fast forward” through the life of an item that I’m tempted to buy. I’ll take a look at it from the perspective of caring for the item. I think about having to clean it and maintain it and store it and then I imagine myself eventually trying to sell it at a yard sale or packing it in a box for the thrift store. This sometimes helps me stop wanting to accumulate all kinds of things - sporting goods, clothes, shoes. It kind of takes the joy out of the mall, I guess, but – these days - I’m more likely to spend money on experiences than stuff – and that makes up for it. I love the fast-forward technique -- that's why I so rarely buy dry-clean-only clothing. I too love the fast forward technique especially for serveware... If it's not dishwasher safe, no deal. My wife recently introduced a "zero growth" closet mindset. For every piece of new clothing she buys, an old piece gets donated. Seem to work pretty well. I have to remember to purge stuff. If you have less it's wasier to keep track of everything. Sometimes we rebuy stuff that we already have which just wastes money. It's hard to let go of items sometimes because I tend to think it has a "sentimental value," which is in some way or another true, for there are really things that are completely useless but I kept them nonetheless because it was given by someone special, etc. But the thing is, that's not true to all cases. Sometimes I just can't let go of it because I BOUGHT it. I used my money. And I think that I'm wasting my money if I just throw them. But after reading these tips I came into a realization. I should be a smart buyer. I'm definitely following tip #2 about buying items that have multifunction. That would most definitely help in keeping my room clutter-free and organized, plus I would be able to save some cash. Smart buying indeed. Great article! As a professional organizer I practice and preach all of these steps to my clients. If you need help digging out the clutter hire a professional green organizer. One of the best gifts I received recently was a gift card that I could use to buy e-books. It let me indulge my love of reading while not generating any clutter since the books are all on my e-reader. this is a brilliant idea... if you have the money for it. Oooh, it annoys me! Every time I throw something out you BET in a couple of weeks I'll need it again. Typical example was a pair of gold shoes...not worn very often, so a great candidate for throw-out. Recently received as a gift; a gold bag... but now, no gold shoes to wear:( ...and how I now lament every time I use my gold bag. Looked & looked for a new pair of gold shoes, but cannot find anything suitable. You can look at this as an opportunity to revise your style...matchy-matchy might just not work for you anymore. Give it a try. Myself, I try to down play my accessories and choose only one thing that is really remarkable (in your case the gold purse). If you still had the gold shoes there would be some distraction (two points of flash that draw the viewer's eye). If you carry yourself with confidence, the gold bag will fit in anywhere and might become a great conversation starter. And isn't that one of the points of fashion --- draw attention to yourself so you can do the next thing, engage with others? My rule is a simple one....if I run across it while digging and didn't even know I had it, or don't even know where I got it, I can toss or sell it. Everything I use, need, or like to own I know where it is in my house. One other tip is NEVER be a collector. Collecting is a gateway drug into the mental illness of compulsion. Nobody is impressed with your shot glass or salt shaker collection, and when you die don't expect your family to feel the same way about your neat bottle cap collection as you do. Finally....clutter. Some people enjoy clutter. 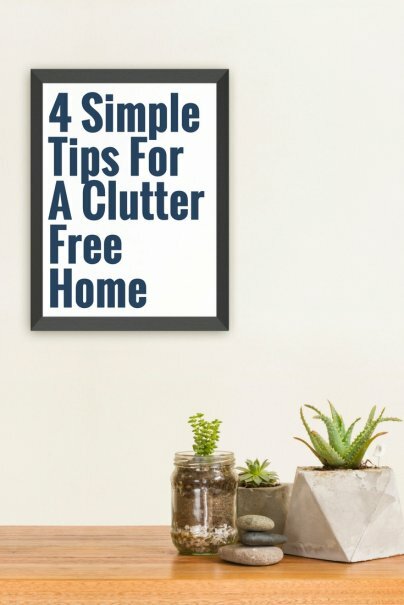 Having 10 pieces of furniture in a room when 3 will suffice, having piles of old magazines everywhere, keeping little statuettes or putting literally dozens of pictures on the wall that serve little purpose or a theme, thats just clutter. One criminal aspect of American life is the sheer lack of aesthetic appreciation of an uncluttered room/house. Tacky furnishings, excessive amounts of items, general worthless clutter, and the sin of a garage piled high to the ceiling with things that will never ever get looked at until you die and your relatives are pawning off your stuff to pay for your funeral. We follow the One In One Out rule with our kids's toy box, stating that whenever they buy a new toy, they have to donate an old one out. This is to teach them about sharing things.